Music is always a wonderful thing, and there’s never a bad time to see it being performed live; but, tonight at Exit/In, music is taking on a noteworthy cause. Sponsored by the Tennessee Chapter of Moms Demand Action, Grace Weber, Tristen, The Danberrys, Juliana and Matt Walberg & The Living Sitation are putting on a show focused on gun violence prevention and voting with “gun sense.” The show is free when you RSVP and kicks off at 8PM. There’s always so much live music happening in Nashville that it’s nice when an event is put together for a meaningful cause. Keep reading to find out more about the lineup. This indie/soul artist’s roots are clear in her singing abilities, her soulful voice conveying rich emotions and drawing people in whether or not they realize it. Her sophomore album, The Refinery, is due to be out on October 7th, and New York-based Grace Weber is touring to promote it. Her resume is impressive given that she’s been musically on the market for just a few short years. The young singer/songwriter has made appearances on The Today Show, Showtime at the Apollo, and Oprah (to name a few). Oprah, people – if you’re good enough to be on Oprah, then you’re good enough for everyone. 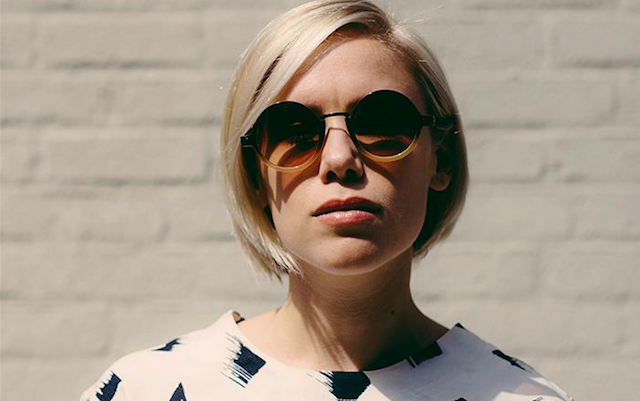 Check out Grace Weber’s single, “Perfect Stranger,” off of her new album below. Neo-traditionalist, folk-synth-pop artist Tristen is out to break down all of the walls of music and set up shop as leading lady. Originally from Chicago, Tristen now makes her home in Music City and has blossomed musically into a classy, well-respected and admired musician. Her latest album C A V E S is out now and available for purchase on iTunes. The Danberrys, made up of four creative souls who found each other in this crazy world, describe themselves as a “choose your own adventure” band. Married couple Ben DeBerry and Dorothy Daniel are the heart of the group who found their music soul mates in the forms of Ethan Ballinger and Christian Sedelmyer. The Danberrys released their first full length album in 2013 and it was promptly nominated for a 2013 Independent Music Award in the category of Best Americana Album. A Nashville transplant since 2005, Matt Walberg has been playing music since he could walk and really hasn’t stopped since. The artist has established his roots in the americana rock sector and ‘The Living Situation” isn’t a backup band, it’s Matt Walberg’s acknowledgement that everyone and everything that happens to his life contributes to his music. Grace Weber, Tristen, The Danberrys, Juliana and Matt Walberg & The Living Situation will perform tonight, Sept. 25, at Exit/In. The show is 18+, begins at 8PM (doors at 7PM), and entry is free with RSVP.